The Boxing Truth®: WHAT MOTIVATES GABALLO? Press Release: January 31, 2019 by Sanman Promotions – Interim WBA World Bantamweight Champion Reymart “Assassin” Gaballo (W20 KO17 L0 D0) will face Japanese prospect Yuya Nakamura on February 9 at the Midas Hotel and Casino in Manila. The event is presented by ESPN 5 (In the Philippines) who will telecast the fight live at 7:00 PM. Material and Photo Courtesy of Sanman Promotions Used with permission. 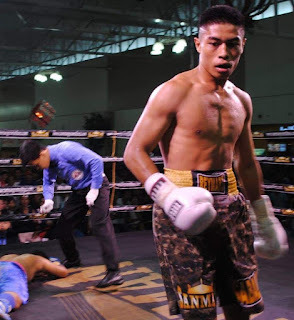 For more information about Sanman Promotions and to watch the Sanman Live Boxing series please visit Sanman Promotions’ official Facebook page: www.facebook.com/SanmanPromotions.